Weddleville, Indiana sits just outside of Medora in Jackson County, out in the country where you wouldn’t even think it was it’s own town. But back before the 1930’s Weddleville was connected to the rest of Indiana by US 50. After US 50 was moved to it’s present location, a mere two miles north, the town just kind of died out. Now all that’s left is a few houses and one of the oldest remaining high school buildings in Indiana. Carr High School, also known as the Weddleville School House, was built in 1857. It was abandoned in 1934 (around the time that US 50 was moved) and wasn’t used again until 1940. It served as a church until 1963, and then it was placed on the Indiana State Register of Historic Sites and Structures on October 25, 1987. 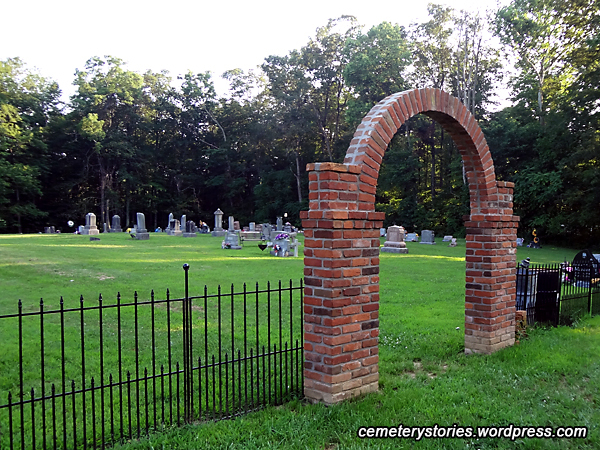 Now, why am I giving you a history lesson about a building on a cemetery blog? Well, right next door is the Weddleville Cemetery. The oldest marker in the cemetery is that of Fielding McHargue, who was the first person buried in the cemetery in 1892. I find it interesting that this was when the building was still being used as a school! The cemetery is also the final resting place for several veterans of the Civil War, WWI, WWII, and Vietnam. It’s well worth the visit to see the cemetery and the old building. During our visit, the outside of the building was in the process of being restored, and from the looks of some older pictures, they’re doing a very good job! I thought there was quite a few interesting markers in the cemetery as well. Do you get mail in Heaven? If you would like to visit the cemetery and have a GPS unit, just plug in the coordinates 38.83772, -86.22359 and it should take you right to it! For more information about the school, you can visit the official Weddleville site. The titled of this post comes from my mom’s reaction to the blue tarp, lol! The statue must have fallen from the top of the grave marker in the top right of the picture and they had covered it up until they could fix it. Still, an interesting find in a cemetery! 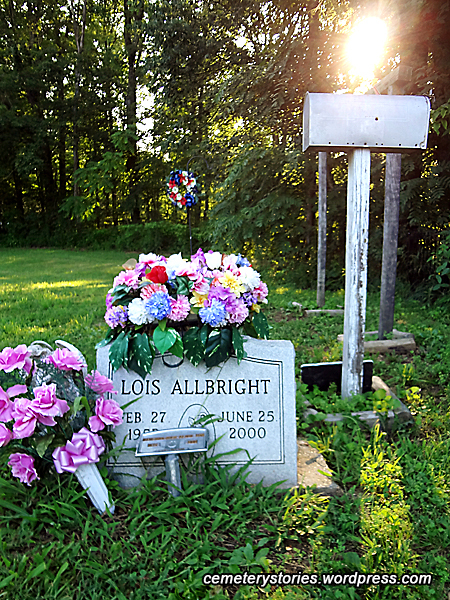 Below is a few more pictures of this cemetery.